Exceptional contemporary jewelers at an easily missed Ebisu space. It can be easy to miss the hidden gem Gallery Deux Poissons, a shop specializing in contemporary art jewelry tucked into a quiet residential area of Ebisu. Since 2003, this space has been showcasing a dazzling array of contemporary works from no less than forty jewelers, many of whom are international stars with leading collections around the world. 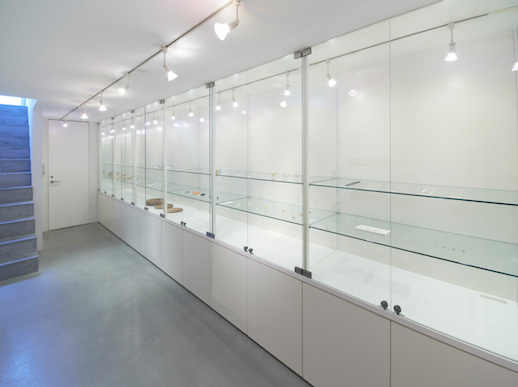 At first glance, the gallery is minimalist in tone, with stark white walls and glass shelves. But don’t be deceived: it is the caliber of the objects that really stands out here, most prominently through the use of unusual materials and innovative techniques. Many of the artists focus on the most ordinary and ephemeral of materials, letting the objects themselves do the talking. 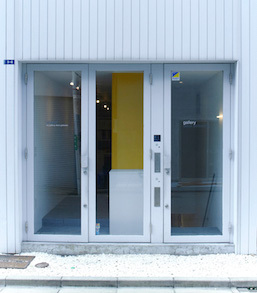 What separates Gallery Deux Possions from the roster of other galleries in the Shibuya area is its quiet commitment to simplicity, embodied by the works of master jeweler Yasuki Hiramatsu. A pioneer of contemporary jewelry in Japan, Professor Hiramatsu has constantly experimented, exploring and perfecting the weaving of gold leaf. His creations, like delicately spun gold rings, shine with an effortless clarity. Hiramatsu’s work is housed all over the world, from Tokyo’s very own National Museum of Modern Art to the Royal College of Art in London. Likewise, playful simplicity prevails in the linear pieces of Akiko Kurihara, who was born in Hokkaido and since graduating in 1999 has won numerous international prizes in Germany, Australia and the Netherlands. Using popping colors and familiar forms such as arrows, letters and pills, Kurihara’s artistry is bound to raise a smile or two. Also a fan of bold and eye-catching colors, Kazuko Mitsushima pays homage to the humblest of materials: glass. Mitsushima transforms an ordinary material into something spectacular, brilliantly balancing light and form within her rings and brooches. Some of the work represented by the gallery radiates intricacy in combinations of materials. Kazumi Nagano worked as a painter in Japan before moving into jewelry. Inspired by natural motifs, Nagano weaves together three-dimensional forms such as paper, nylon, metal and gold wire to create her stunning shell-like jewelry. With most of her pieces held abroad in places like the Victoria & Albert Museum in London, as well as collections in the USA and Switzerland, Gallery Deux Poissons offers a rare glimpse of Nagano’s work on home soil. Similarly, the brooches of Ritsuko Ogura are small wonders to behold, mixing household materials such as cardboard and acrylic with precious metals like silver. Switching between specialist exhibitions to shows of work from its permanent stable of artists, the gallery also welcomes international makers. 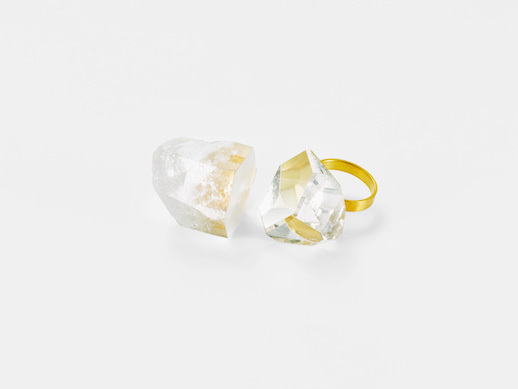 From August 25, it will be showcasing the art jewelry of Spanish artist Marta Boan, who focuses on translating complex ideas and realities into simple, geometric forms. Perhaps the most important lesson to be learnt from this unassuming gallery, then, is not to be swayed by appearances. Nestled in this little basement are some of the most exciting, radical, innovative jewelers around. Gallery Deux Poissons is open 12-8 pm every day except Mondays, and if you’re there from Tuesday to Friday, you can grab a bite at Café Deux Poissons (open 11:30–2:00).